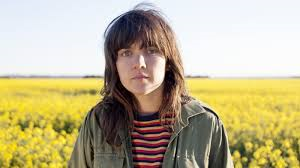 One of the best discoveries I have made, musically, over the last few years is the grungy rock guitarist and songwriter, Australian Courtney Barnett. Picking up her first full length LP, Sometimes I Sit and Think, and Sometimes I Just Sit, I was astounded by her unique voice, distorted guitar playing and her idiosyncratic lyrics. This was only enhanced by her 2013 Double EP A Sea of Split Peas and last years collaboration with Kurt Vile, Lotta Sea Lice which made my top three albums of the years. So it is with great expectation that I look forward to Barnett’s new album, Tell Me How You Feel, which is released on May 18th. I for one cannot wait to hear and review the album.